It’s hard to believe after yesterday’s 60 degree temps in February (what?! ), that this winter wonderland was our reality exactly a week ago. 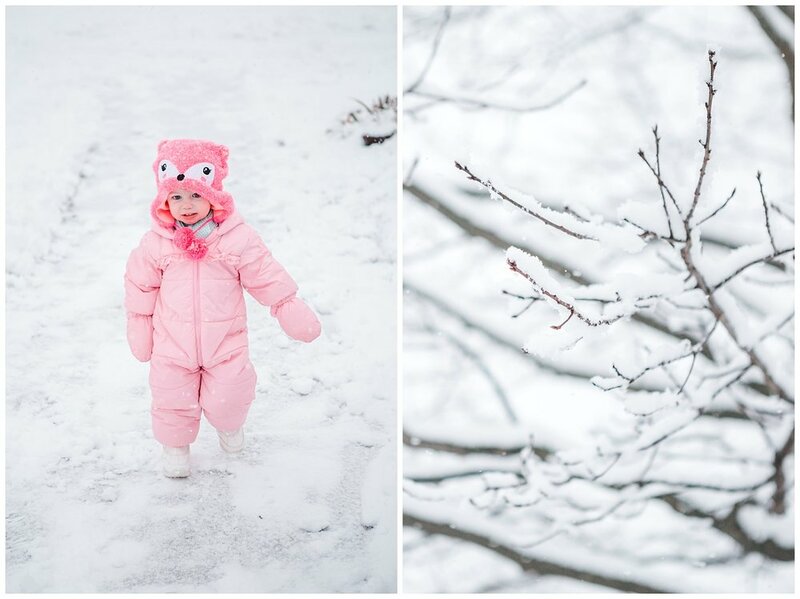 Personally, I would take those 60 degree temps for the rest of winter, but looking back on these precious pictures of the girls enjoying a snow day, I’m not completely mad about getting a snow storm every once in a while. 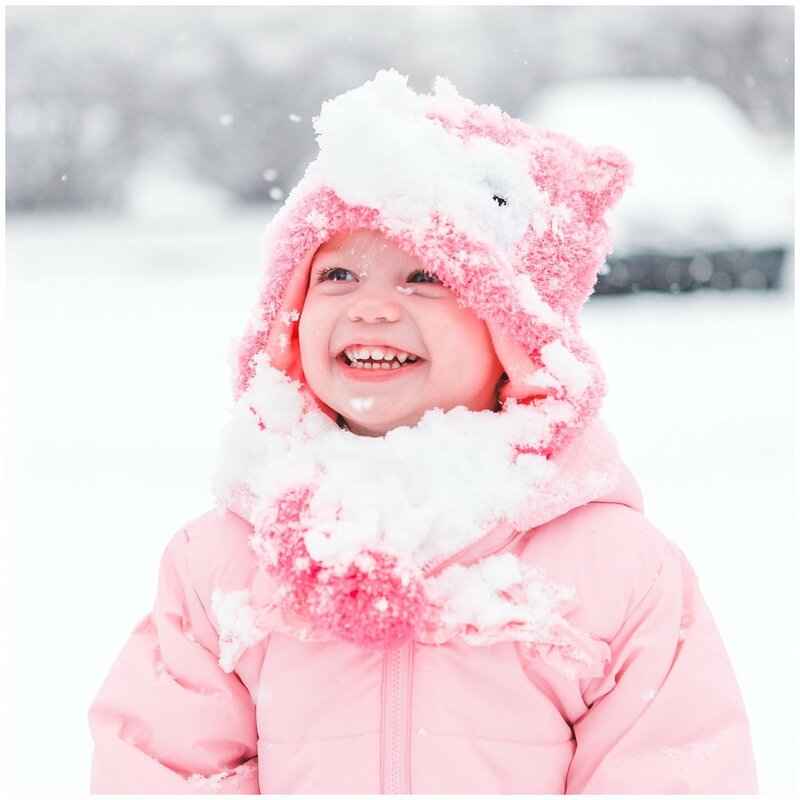 This is the first time Andie has actually been able to really play in snow, since she was a baby last time we got a decent snow that stuck around. I wasn’t sure how she would react, if she would be a little hesitant, or not like the cold. But she absolutely loved it. She surely doesn’t get it from me. I spend about 15 minutes outside in the snow (if I’m lucky) before my hands turn numb and I’m ready to go back inside and get warm. Stupid cold sensitivity. But it was so much fun watching her take it all in and experience the joy of fresh snow. I really thought she was going to start crying. But nope, our adventurous little girl totally loved it and thought it was hilarious! Side note, I can still manage to shoot sessions in the cold, if you were wondering. I slip some little hand warmers in my gloves and we usually don’t stay outside quite as long as normal, but I’ve gotten pretty good at getting a lot of great shots in a short period of time, so it’s all good. Anyway, back to our snow day. I’m so happy that we got out to play and get some fun pictures while it was snowing last Tuesday, since the next couple days after that, it got way too cold to do anything outside. Ellie is at that great age where she loves helping to shovel, and thanks to our neighbors who outgrew their kid-sized shovel, she now has a perfect Ellie-sized shovel to help Matt with clearing the driveway and sidewalks. Of course, if you’re a parent, you know how including your little ones in a task can make it take twice as long. But you gotta teach ‘em young, right? You never know what you’ll find during a snowstorm… We got to show the girls what bunny footprints look like when we found these tracks in the fresh snow, at least I’m assuming it was a bunny. The funny thing is, it wasn’t intentional at all that their hats matched perfectly with their snow attire. But it’s super cute, don’t you think? Ellie was so excited to help with snow removal, she even volunteered to clear off Matt’s car, haha. 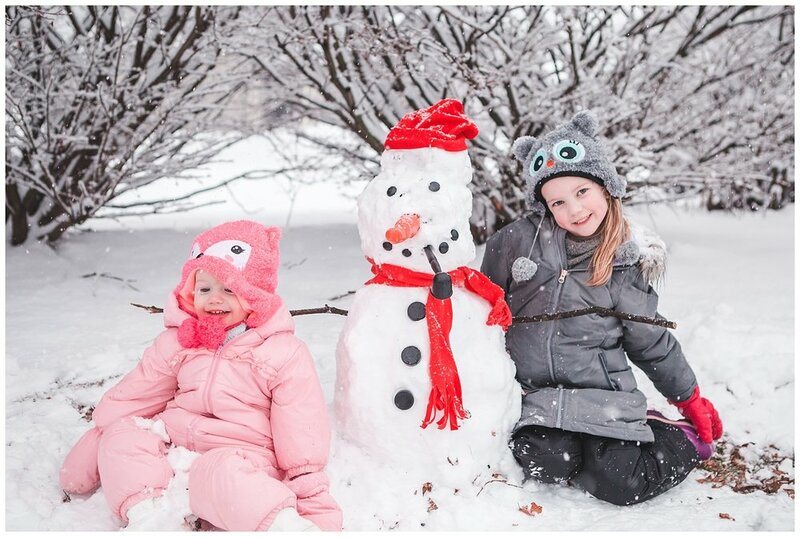 Of course, we couldn’t end our snow day without building a fun little snowman! And when someone started getting tired of being in the snow, daddy snuggles did the trick. 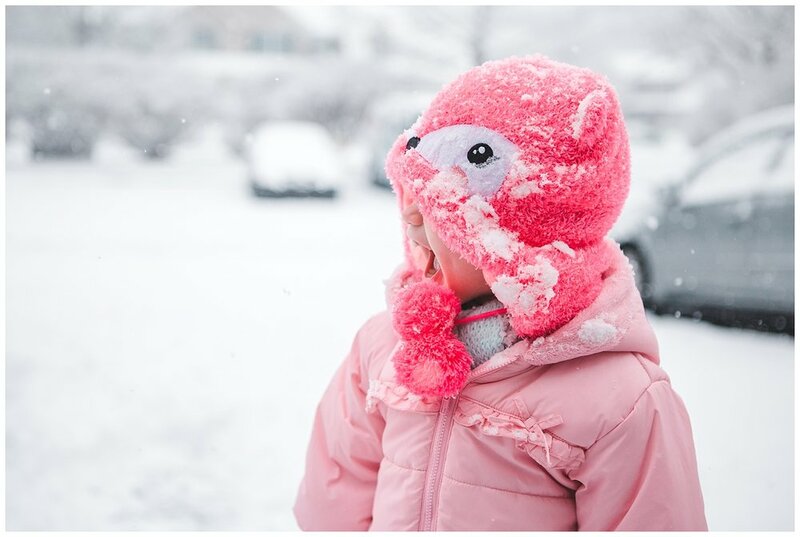 I hope you and your families stayed safe and warm in the storm, and hopefully you were able to get out for a little bit and create some fun memories!